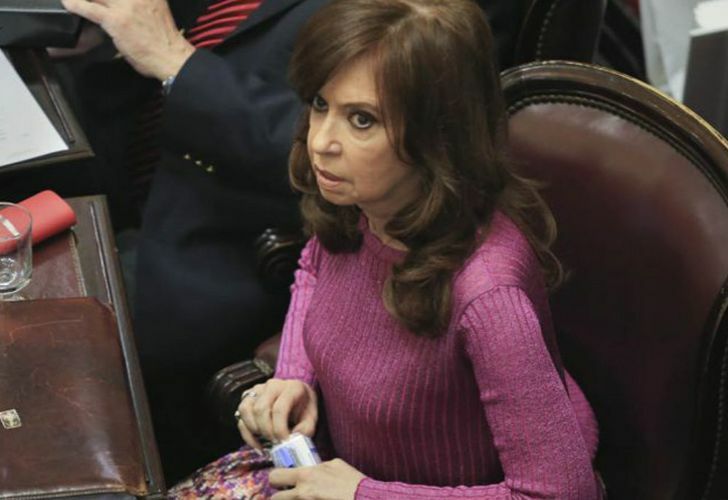 For a second time, federal judge Claudio Bonadio will present a formal request to Congress to strip Senator Cristina Fernández de Kirchner of her parliamentary immunity. Federal judge Claudio Bonadio will present a formal request to Congress to strip Senator Cristina Fernández de Kirchner of her parliamentary immunity. Bonadio's move against CFK, for which she risks immediate arrest, is part of an investigation into an alleged giant bribery and corruption ring that spanned over a decade of governance, politicians and high-profile businesspeople associated with the Néstor and Cristina Kirchner administrations. Fernández de Kirchner has been ordered to appear before Bonadio on August 13 for questioning. On Wednesday, 12 people were arrested as police continued searching for four others. In total, 18 people have been called to testify, including the former president and former judge Norberto Oyarbide. Among those who were detained is Roberto Baratta, a former national government official who previously served as coordination and administrative secretary at the federal Planning Ministry. Baratta is considered by many to have been the ‘right-hand man’ of Julio De Vido, a key Kirchnerite figure who headed the ministry for over a decade and is now imprisoned on corruption charges. The current investigation centres on a collection of eight notebooks, which were acquired by journalists at the national daily La Nación some months ago, copied and subsequently passed to federal prosecutor Carlos Stronelli. "In the investigation, the hypothesis is illicit association," the prosecutor in charge of the case, Carlos Stornelli, told Radio La Red in an interview. "We investigate facts and people who appear suspicious or involved will be investigated, [but] I can not anticipate the consequences," he said when quizzed about the possibility of more former Kirchnerite officials being arrested. According to reports, the notebooks belong to Oscar Centeno, a driver who was assigned to Baratta by the federal Planning Ministry. Centeno, who is now under arrest, is believed to have kept a series of detailed entries related to his time working for the government, though he is not responsible for the notebooks coming to light. Centeno’s wife, according to reports, has also given testimony to prosecutors, detailing how former husband delivered and distributed money and how their income soared well above expectations considering his role was as a chauffeur. Bonadio previously made a request to Congress to strip CFK of her immunity in December, 2017, in the context of the AMIA bombing cover-up investigation.